Undone by many, lifted by few! 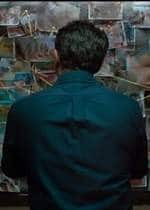 First things first: I did not settle in watching Welcome Back with my mind ready to compare it with its eight year old prologue Welcome, and when I stepped out, I thanked myself for it. You are most likely to end up being dissatisfied if you expect the same kind of craziness Anees Bazmee and team delivered in 2007. Welcome Back is only cinematically welcoming if you happen to enjoy the so called genre we seem to have created 'mindless entertainers'. 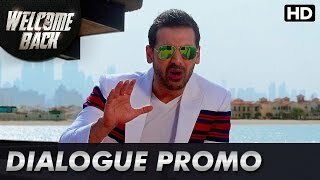 Sitting through those 150 odd minutes of the film, I found myself being starved of funny jokes and situations that Uday Bhai, Majnu and Dr. Ghungroo so effortlessly created in Welcome. 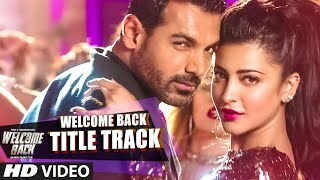 Justifying the true essence of being a sequel, Welcome Back starts of where Welcome ended. The gangster brothers after having found a decent guy for their sister are now in quest to find a girl for themselves. 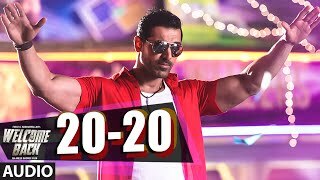 The drama has shifted to Dubai and we are introduced to two changed Uday Shetty and Majnu Bhai. Both have given up on being a Don and are rehabilitating for a new life. Comes in a twist after they find out about their new sister (Shruti Haasan), who they apparently have to find a nice guy for. 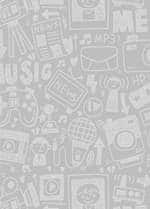 Going for a default option, they approach Dr. Ghungroo who also has found out about a son (John Abraham) of his. The drama follows with more confusion and more characters coming in the picture. Dimple Kapadia (the Maharani of Najabgarh) and her daughter trying to con Uday and Majnu and the two ex-dons finding out that Ajju Bhai aka John is a bigger goon than what they used to be, is what takes us through the first half pretty much entirely. Post interval? More characters, more drama and more confusion! 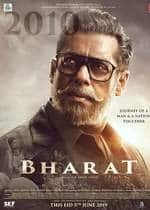 Thankfully this time it's Nasseruddin Shah as Wanted Bhai. After all the hustle and tussle, you sit through experiencing the 'been there done that' sort of situations, hoping the director would make sincere efforts to tickle your funny bones. Unfortunately, that only happens in parts. Welcome Back is undone by an inconsistent screenplay and an underwhelming replacement of cast that could have really made a big difference. 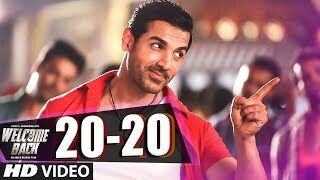 Throughout the movie, you see John Abraham trying his best to get into a comic mode who is equally supported by his co-star Shruti Haasan in doing the same. The funny one liners and some amusing scenes try and keep you engrossed to a limit. Watching Majnu and Uday playing antakshari with presumed dead Ajju and his father Ghungroo in a graveyard is funny but that only makes you feel ripped off of more funny scenes like those. While the first half tries to build a premise leading to a confusion filled climax like any other comedy, Naseeruddin and Shiney Ahuja's entry in the second half do spice up things a little. Naseer in particular gets to speak some funny dialogues complimented by his comic avatar that we see him in after a long time. As for Shiney, he should be happy with whatever screen space the director gave him. A strict 20 minutes trimming and a larger bucket of funny jokes could have made Welcome Back a much better affair. 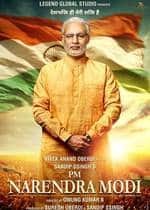 The only takeaways that indeed come as the pillars of this comedy are Nana Patekar, Anil Kapoor and Paresh Rawal, who once again try their best to lift an ordinary script to a higher level. You watch them on screen hoping they would get some better lines to speak but it is their sheer charisma how they take a step ahead and make you laugh with all the limited sources. John is okay at best, I think it is going to take a lot more for him to better his comic timing. Shruti Haasan, well let's hope she gets roles where it's okay to be expressionless. Dimple Kapadia surprisingly in a comic role does good work. Rajpal Yadav who we see very little of was funny in the two scenes he was in. The music of the film does enough to not bore you and the songs are better than what we think of as loo breaks. 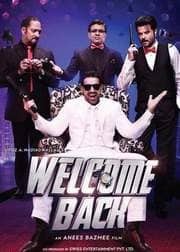 With a larger overview, Welcome Back tries just as hard to be funny and match the aura of its prequel, unfortunately for Anees Bazmee, it doesn't shape up that way. So if you are okay being served just two delicious dishes in a very large buffet, Welcome Back will not tire you out. For the rest, Welcome Back may not be very welcoming!